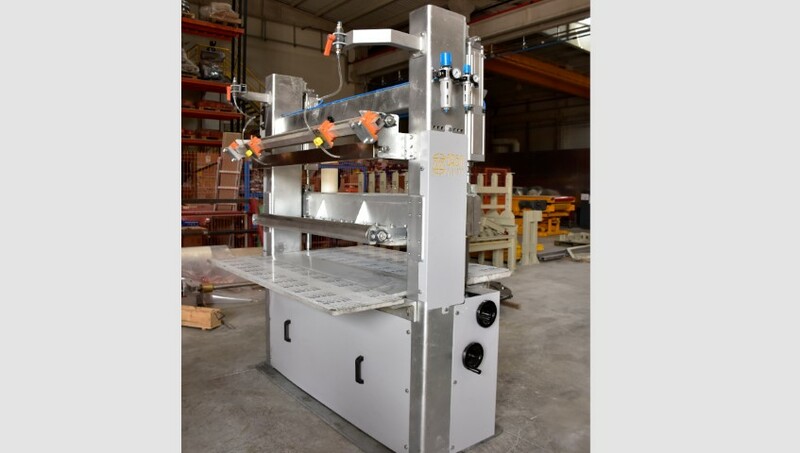 Our success is the result of having our own design & engineering team, in-house CNC machining workshop with a high capacity and highly ex¬perienced masters that assures utmost accuracy and high durability. 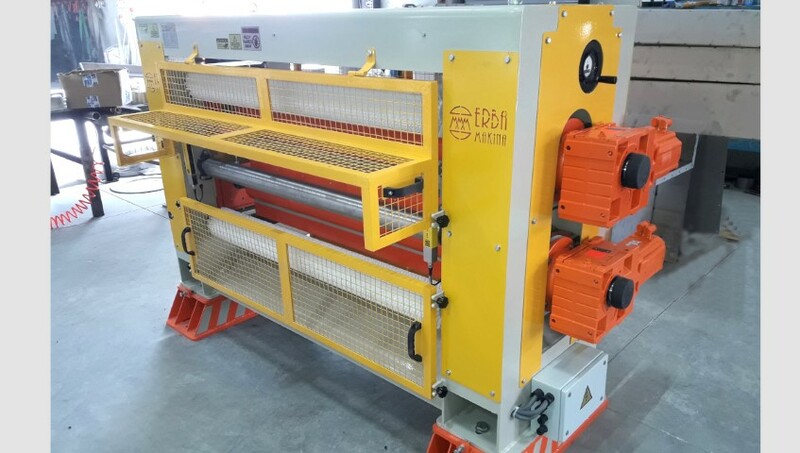 High reliable equipment engineered with utmost accuracy and special purpose machinery satisfy the high expectations of customers. 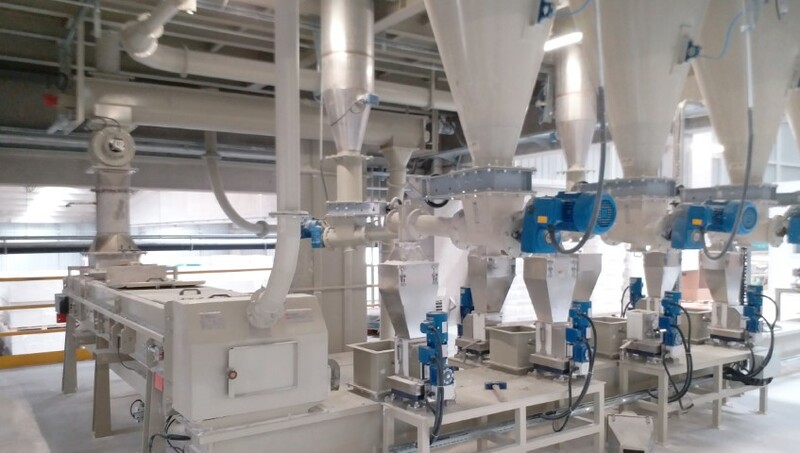 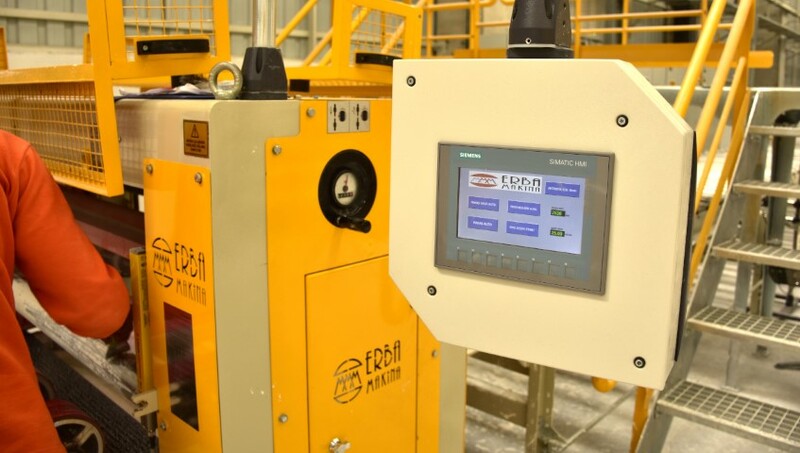 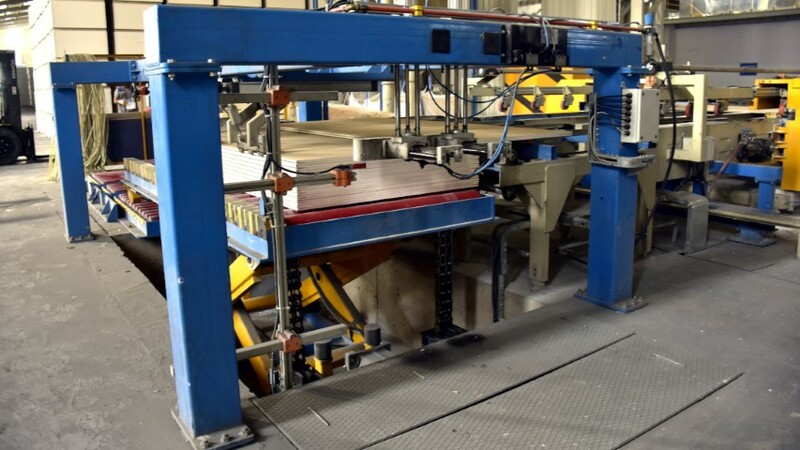 units are designed and engineered to provide utmost accuracy in metering & dosing of all used wet & dry raw materials, ensuring the top-quality plasterboard production. 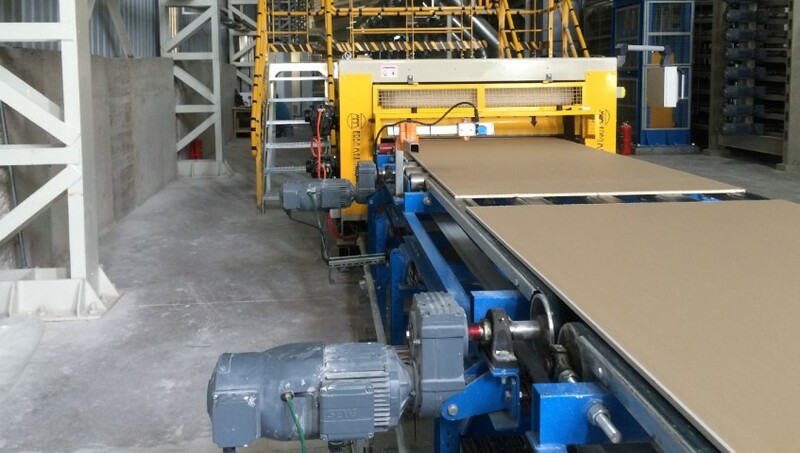 Reliability, low op¬erational cost, opti¬mal energy efficien¬cy of equipment in plasterboard pro¬duction systems stand for highest quality standards. 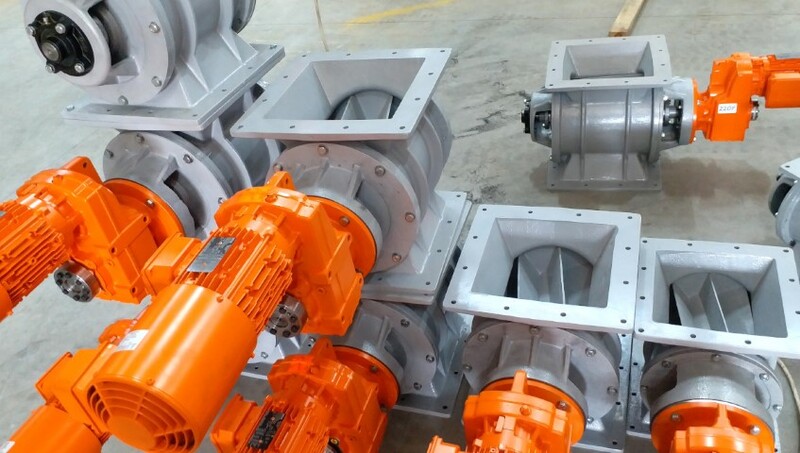 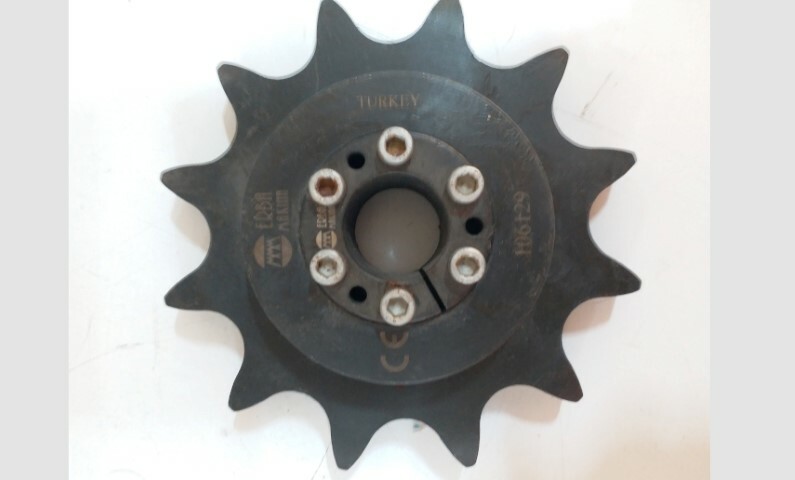 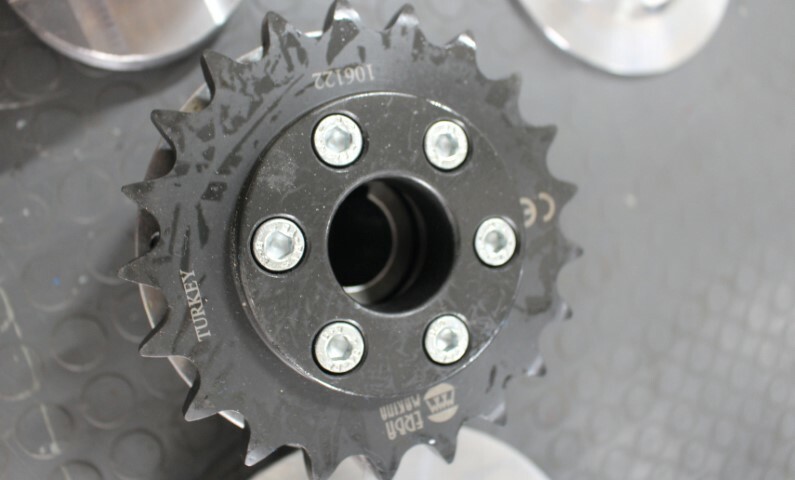 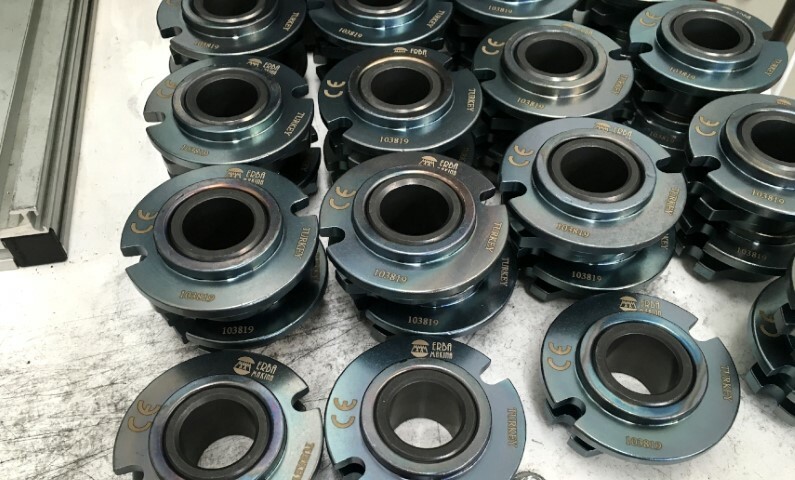 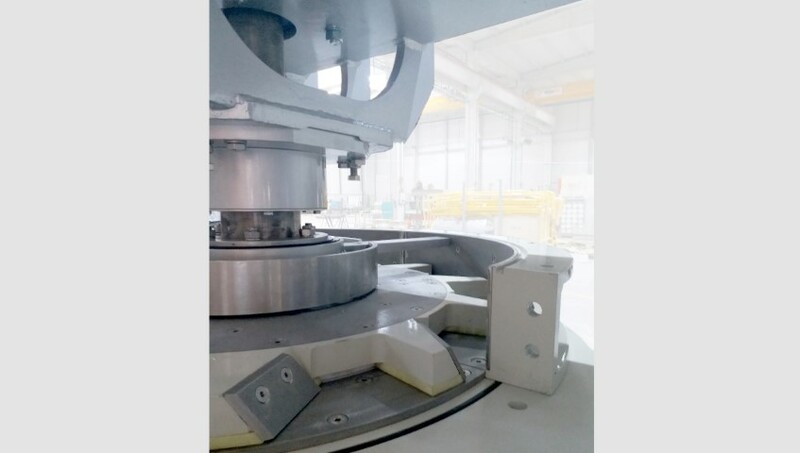 Mixer is made with top-quality parts, such as; rotors, bearing, inside lin¬ers, wear resistant blades that provide durability for long-time use of it. 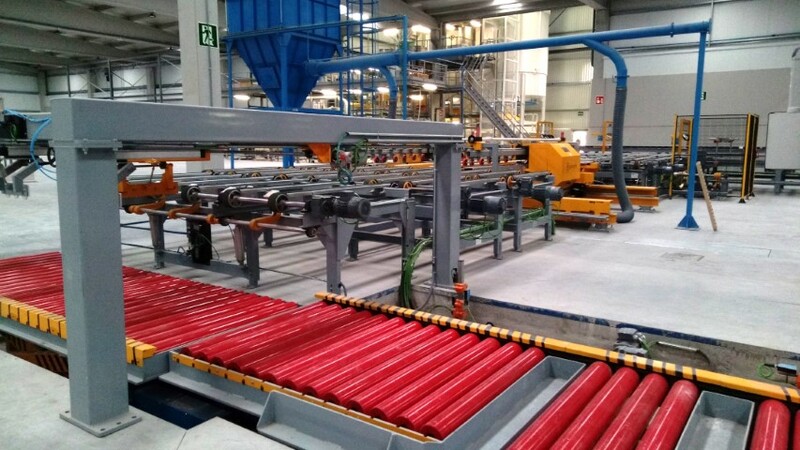 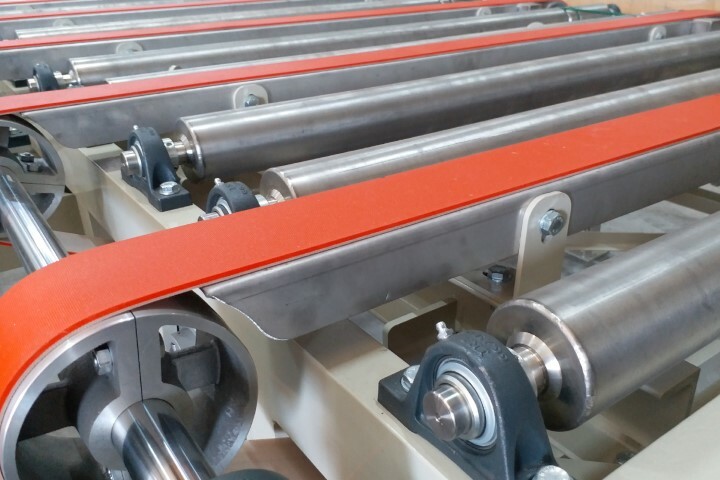 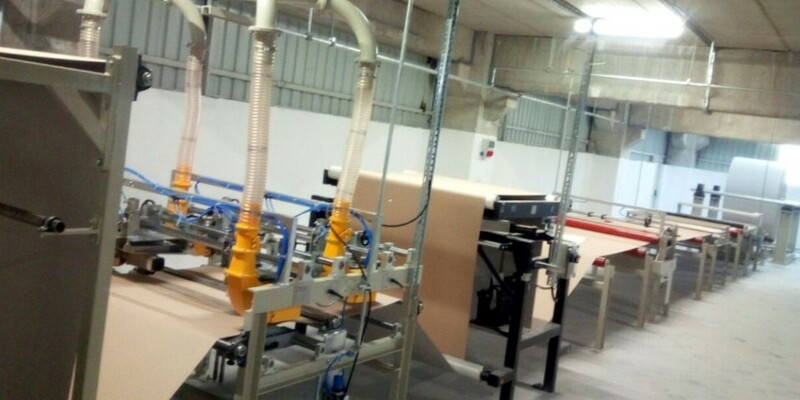 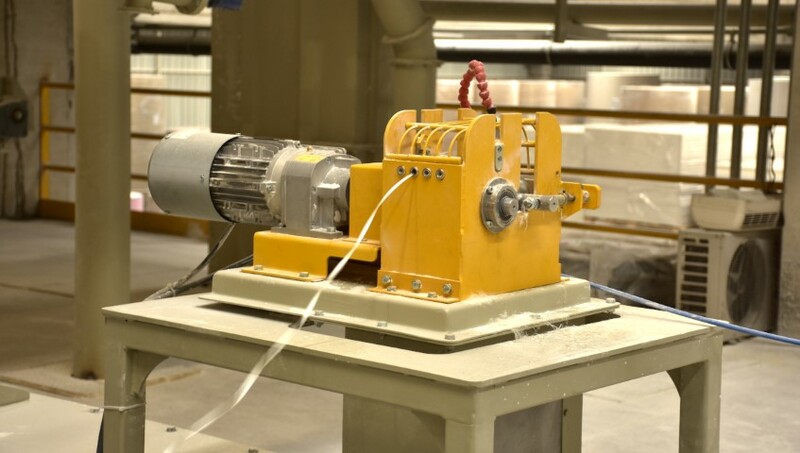 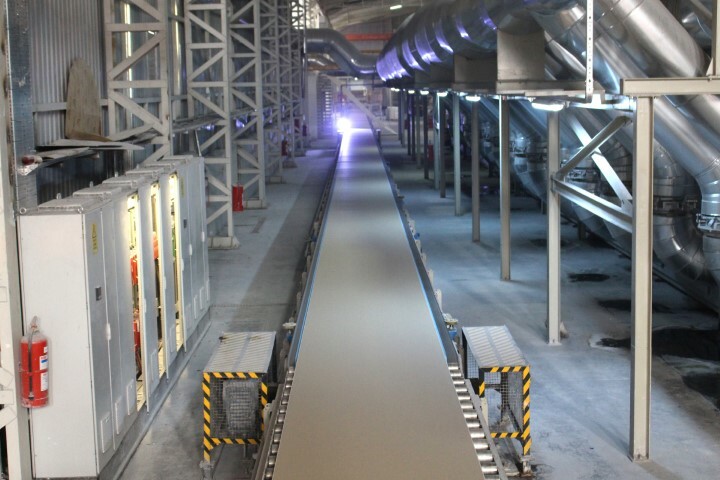 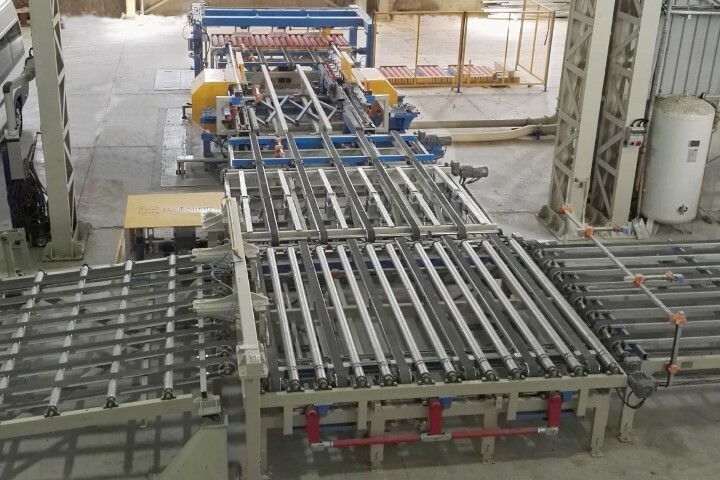 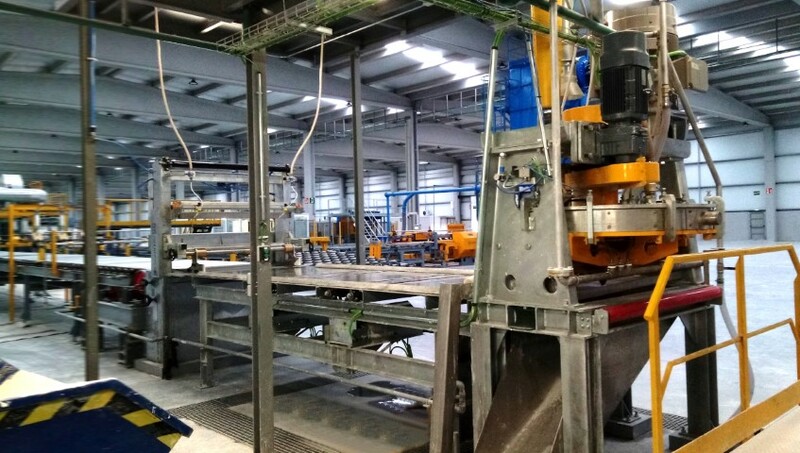 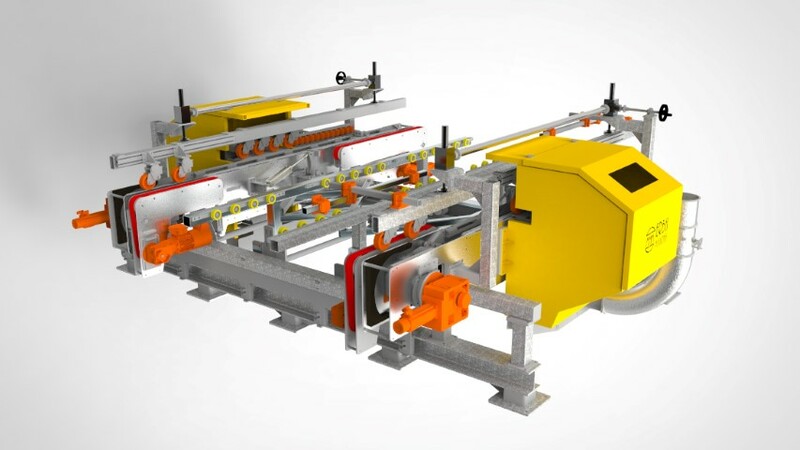 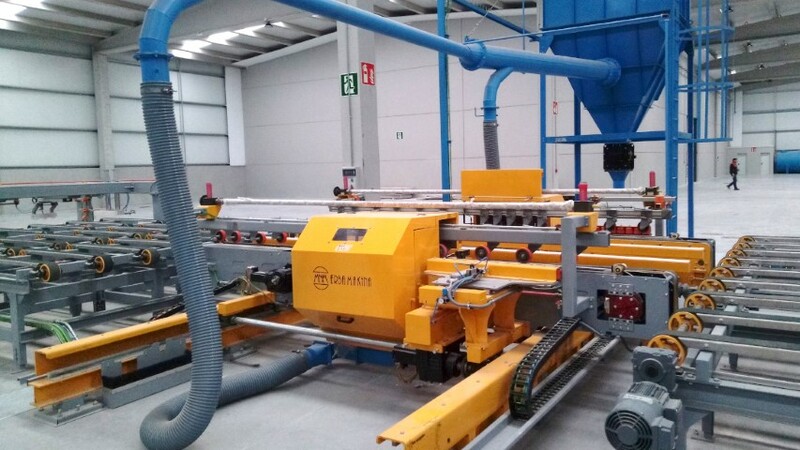 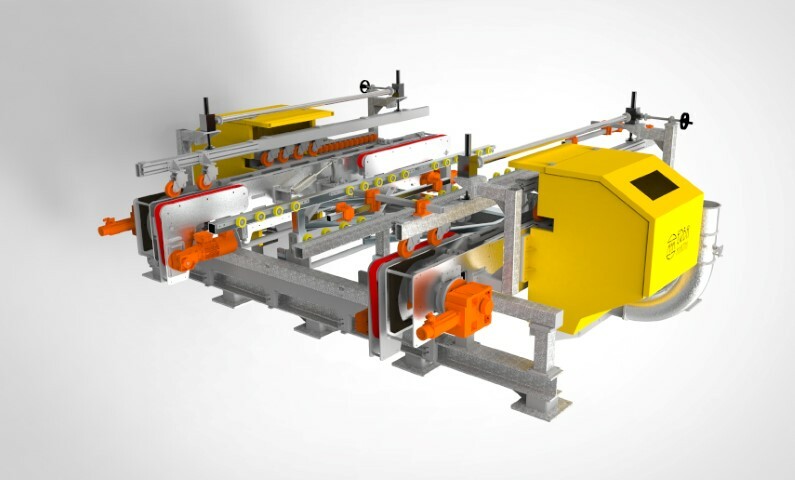 Knife of the plasterboard plant that provides precise cutting-in-length of the produced boards uses high resistant knifes and servo-controlled motor-gearboxes to assure long life and cutting precision. 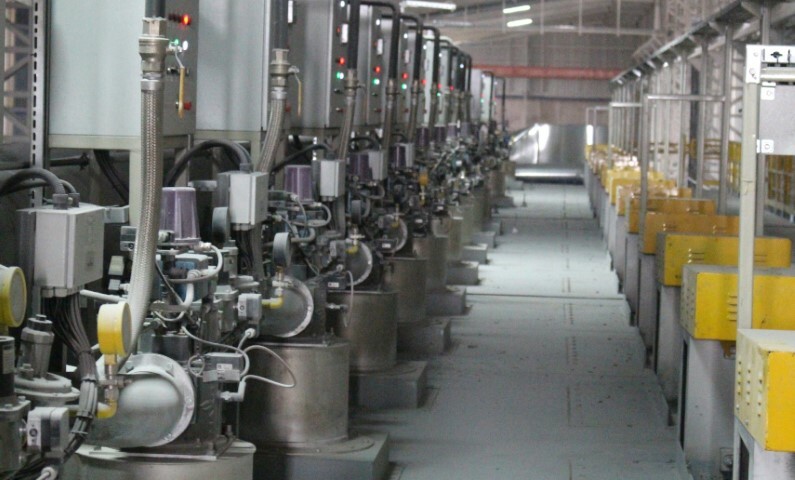 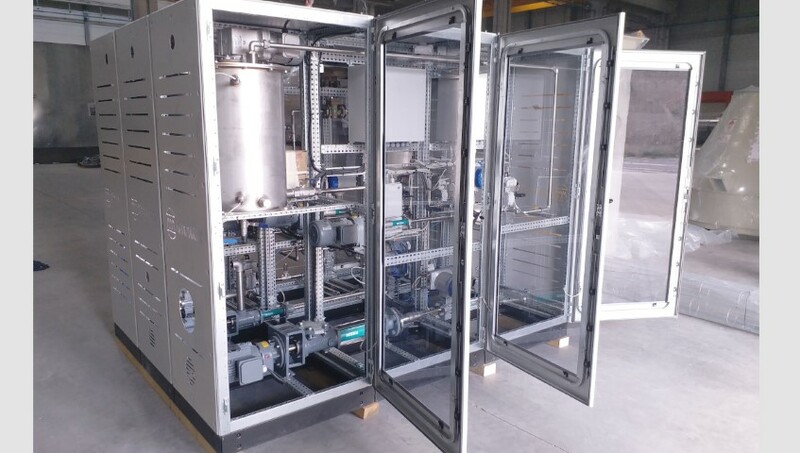 Standing by its custom¬ers MMM ERBA Mak¬ina is able to provide sustainable production process by its ability to engineer economical solutions that meet any desired product quality and market demands. 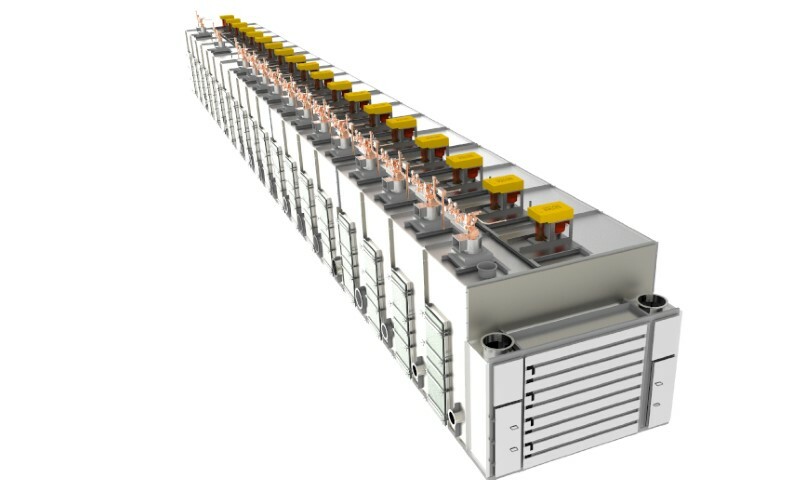 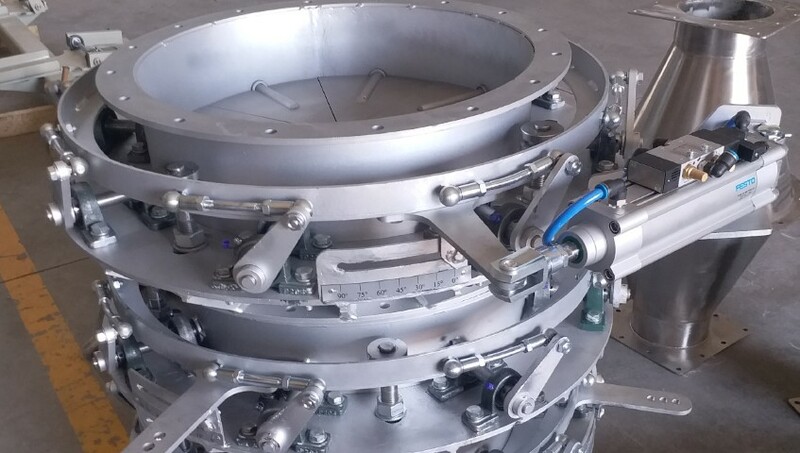 are the units of conveying sys¬tem that are engineered with expertise and experience. 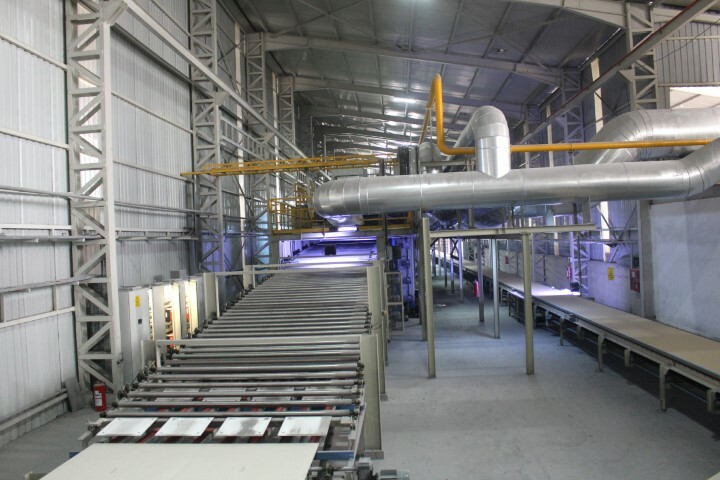 Multiple deck dryer of a plasterboard plant is designed accord¬ing to production ca¬pacity, and consists of air circulation sys¬tem, conveying sys¬tem and heating sys¬tem made from high durable carbon-bear¬ings, sprockets, chains, high grade stainless-steel made rollers and air-chan¬nels that assures economy in oper¬ation and mainte¬nance. 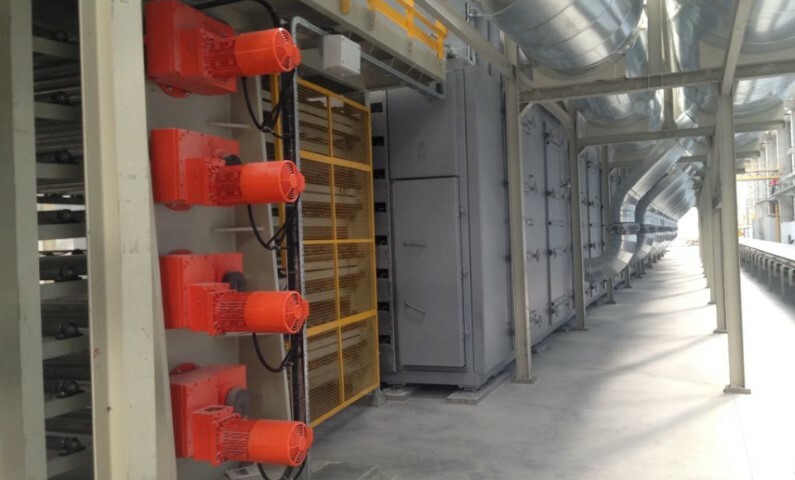 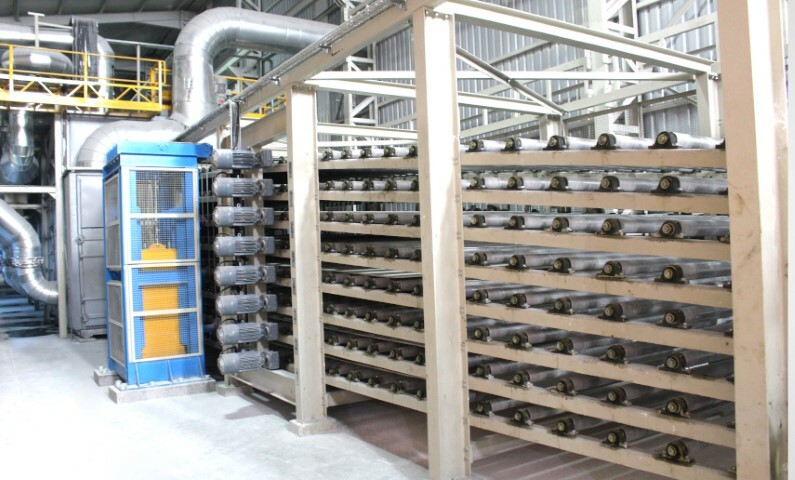 Heat exchanger - all plasterboard plants that we supply are equipped with heat exchangers that provide the plant owner to make econo¬my in fuel consumption. 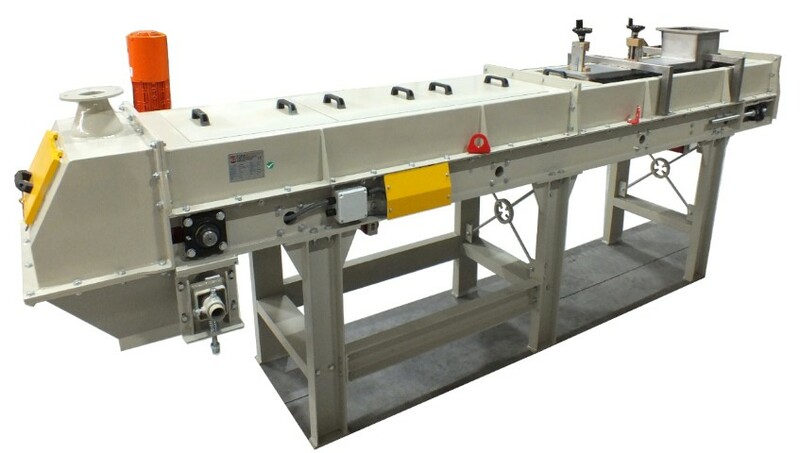 Bundler unit is used for trimming of the boards com¬ing from dryer out¬let. 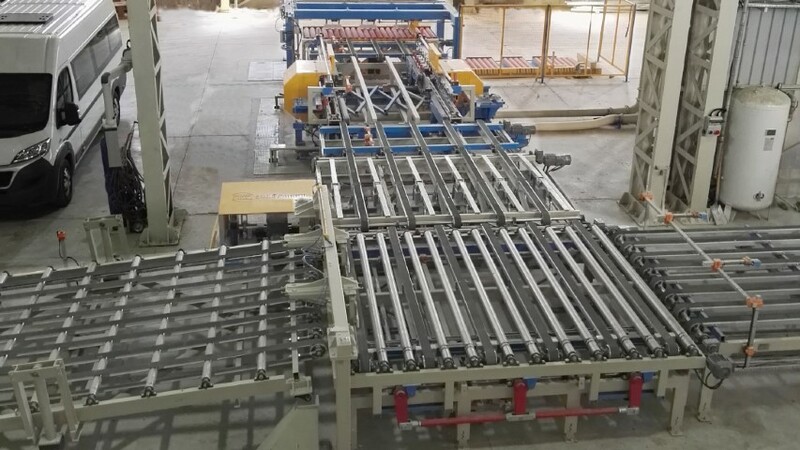 Accuracy of the trimming depends on the quality of the produced boards as well as the fine adjustment of the bundler system and cutting saws used in the device. 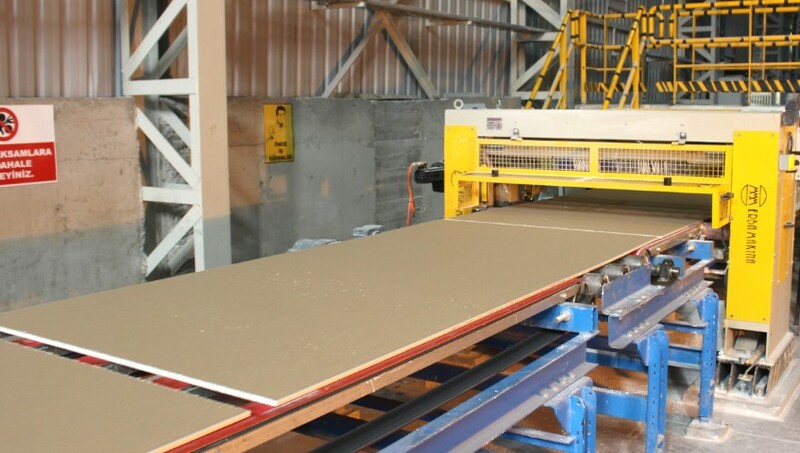 Plasterboards, after they are trimmed in the bun¬dler, are fed to the stack¬ing table unit where its aligned, stacked and passed to forklift ta¬ble for further storage. 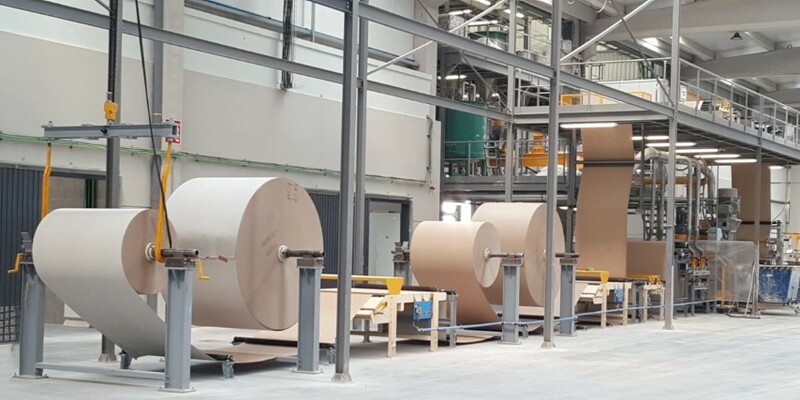 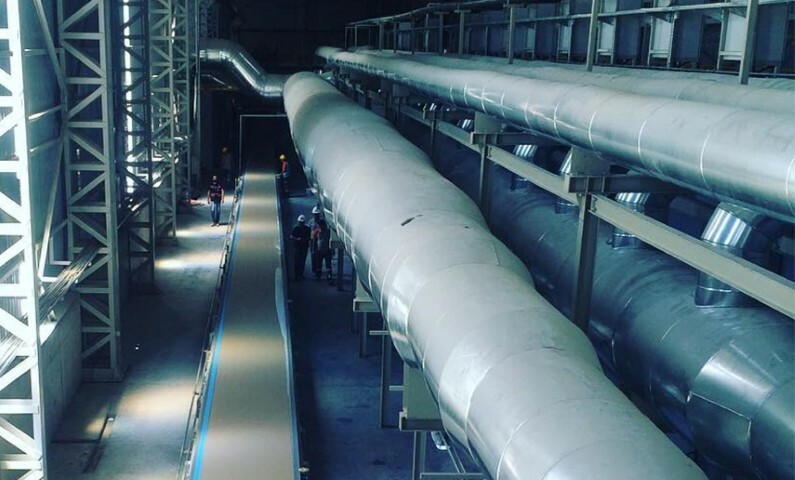 Before they are stored in warehouse, stacks of plasterboard might need to be packed by strips, wrapped with stretch film or covering with PE film by shrinking. 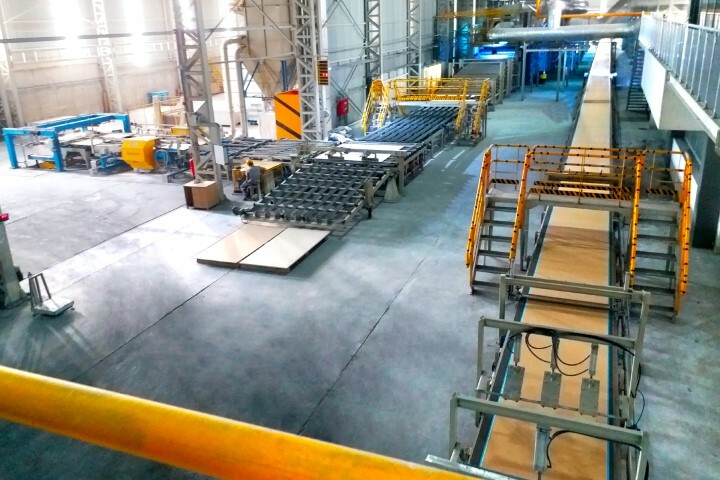 Horizontal wrapping of the plasterboard stacks with a stretch film is becoming curical for outside storage and for maritime transportation to protect boards from external factors. 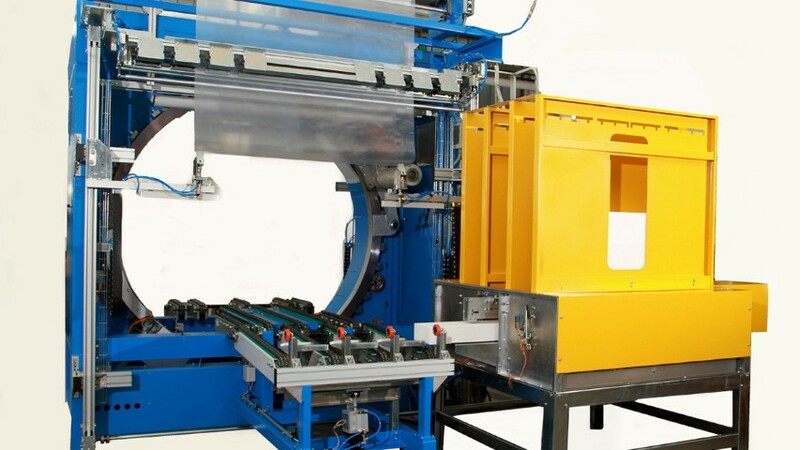 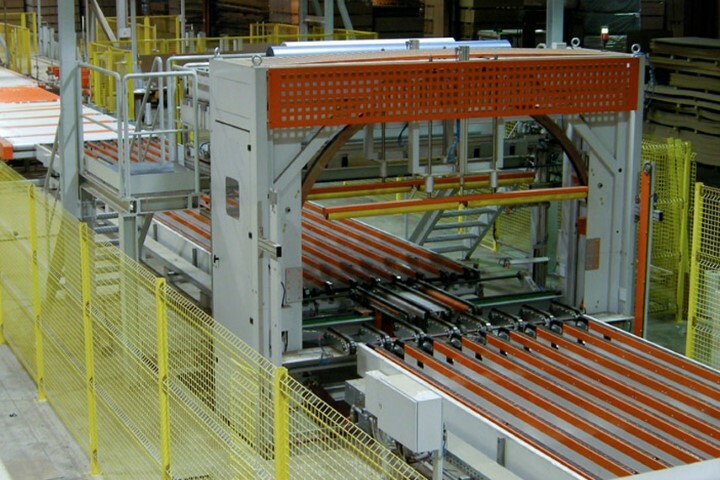 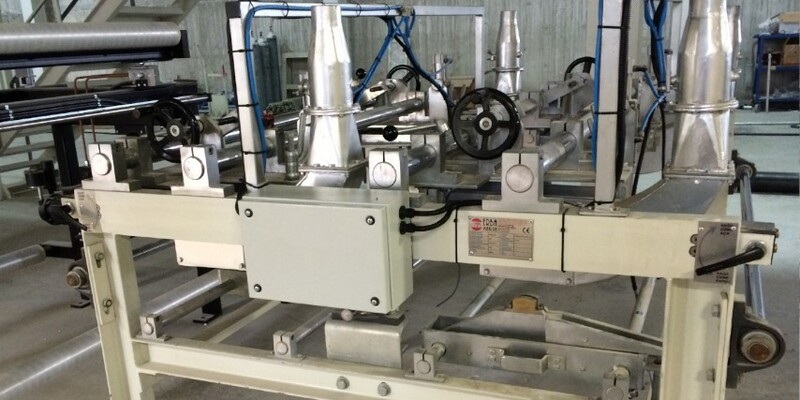 Stretch wrapping machines are designed to proivde full-waterproof covering of packs.